Here i am sharing success story of one of our alumni Charu Tiwari. Now she is working in Thomson Reuters in Noida on the profile of Review Executive. She did LL.B. 3 Years from Mewar law Institute, CCS University. She also did online certificate course in “CYBER LAW” from Indian Law Institute. She opted for Job Oriented patent Analyst Classroom Program. Thomson Reuters provides professionals with the intelligence, technology and human expertise they need to find trusted answers. We enable professionals in the financial and risk, legal, tax and accounting, and media markets to make the decisions that matter most. Under this program she learnt about intellectual property rights, patent searching, IPR law’s, prior art search, tools of patent searching and many more. In this training program she also learnt about Trademarks and Copyrights. Under this program she learnt about intellectual property rights, patent searching, IPR law’s, prior art search, tools of patent searching and many more. In this training program he also learnt about Trademarks and Copyrights. 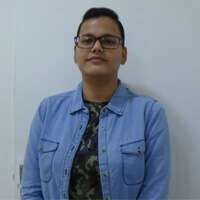 Today she is successfully placed in Thomson Reuters’, on the post of Review Executive with very good salary package and she is performing well at her job.Charu gives most of the credit of her success to his parents and IIPTA team who always remained very supportive. SHe dreams to fulfill her parents expectations. Here’s wishing her all the very best for her future endeavors.